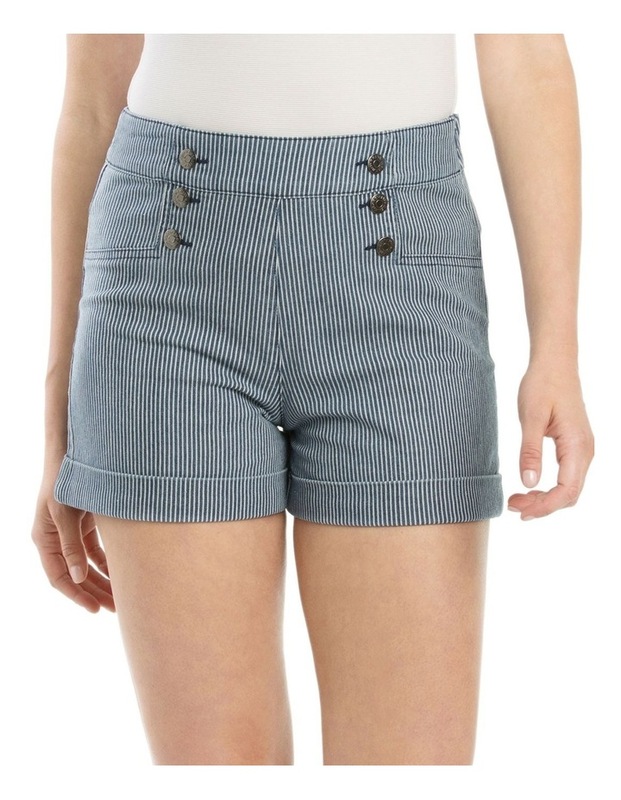 Mix up your new season separates with the Raewyn Denim Shorts. 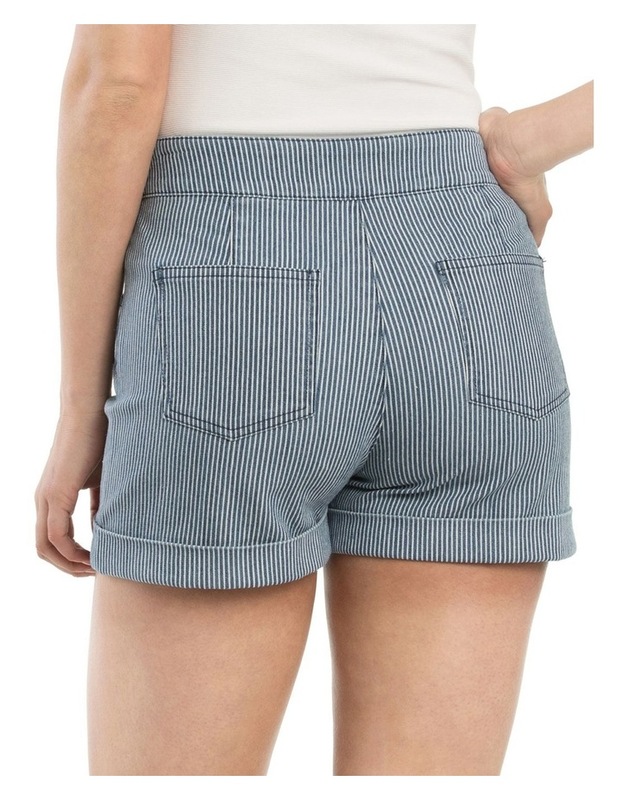 A regular cropped fit with a high rise waist, these shorts have a self-stripe throughout. 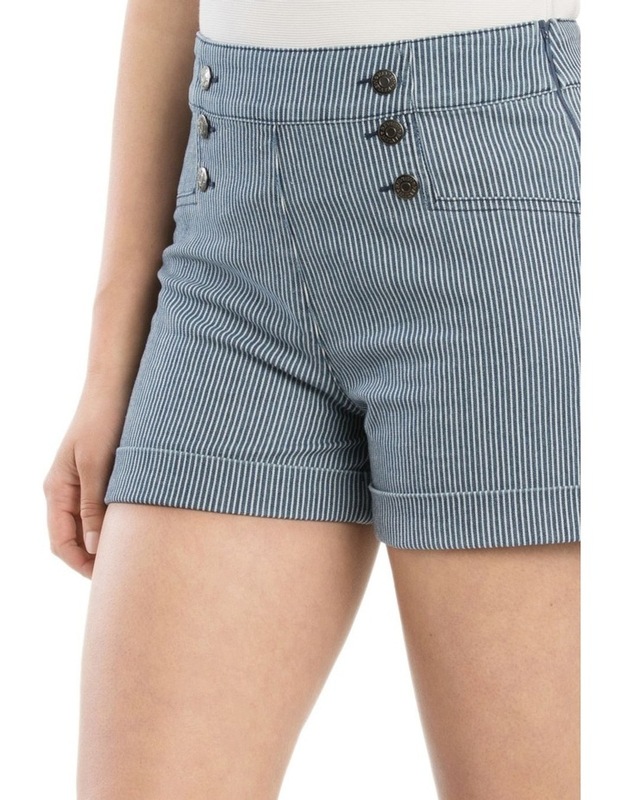 They have faux welt pocket detailing and button embellishments.